We pride ourselves on the various notable guests who not only visit our school, but become a part of the HSA McKinley Park Charter School family. Distinguished visitors enjoy school tours lead by our very own student ambassadors and always look forward to coming back. See who’s visiting HSA McKinley Park Charter School in our community. 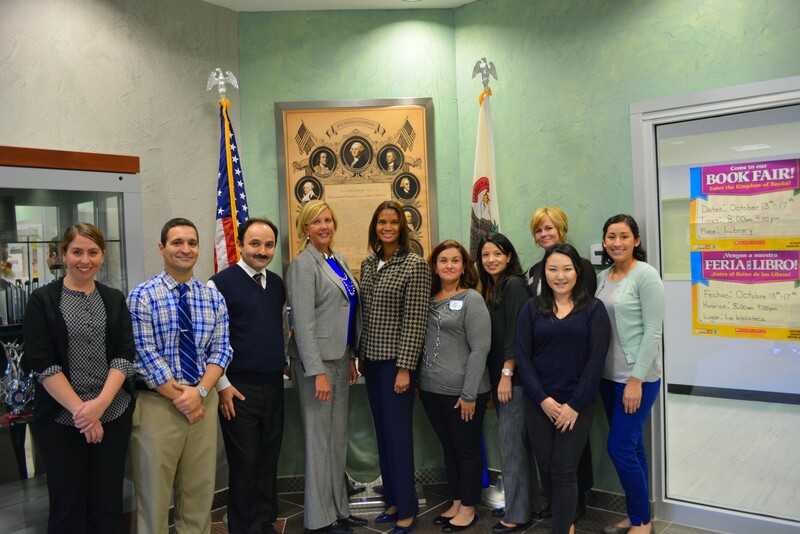 We were excited to meet Senator Rezin and show her around HSA! Click HERE to see more photos from her visit! JoAnn Thompson, Alderman of the 16th Ward takes a tour! She was immediately impressed when she entered HSA McKinley! HSA is on of only two schools commissioned by the Illinois State Charter School Commission. We are thankful for all of their continued support! Illinois State Board of Education President, Gery J. Chico visits and takes a tour of HSA McKinley Park. Thank you for your visit! Click HERE for more pictures from his visit! Dr. Karen Washington, Deputy Director of the Illinois State Charter School Commission, visited HSA McKinley Park Charter School on September 11th, 2013. She visited several classrooms. In addition, she talked with some of the students and staff members. We would like to express our appreciation to her for taking time out of her busy schedule to visit our school. Click Here to see more pictures!